Through our academic collaborations and partnerships, the CancerIQ team provides genetics and communication training to all staff members. On a weekly basis, the CancerIQ team provides reports that track progress towards key operational, clinical, and financial goals. 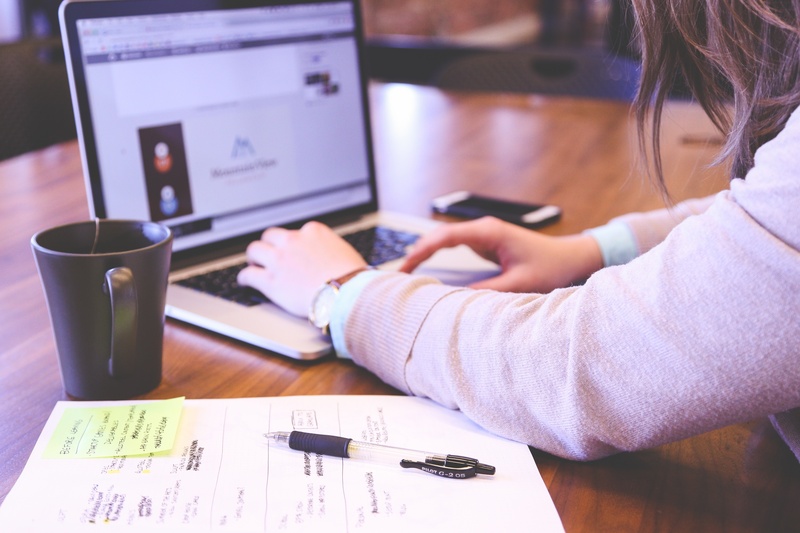 To ensure CancerIQ fits within your existing workflow, our team conducts an initial observation and collaborates with your team to develop the best design. 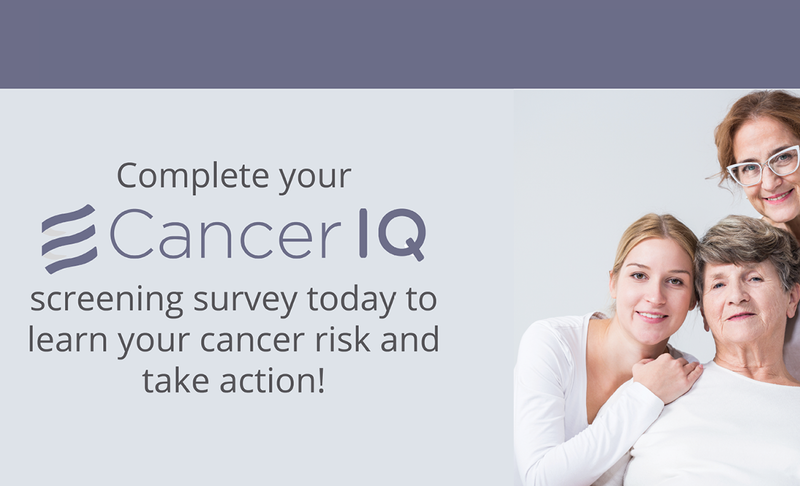 CancerIQ helps you socialize your services with your referring physician and patient population with educational and marketing materials. To make the case for program expansion, CancerIQ can help develop a comprehensive business justification and pro forma analysis. If you're looking to make a new hire, CancerIQ can also help develop the appropriate job description for your program. 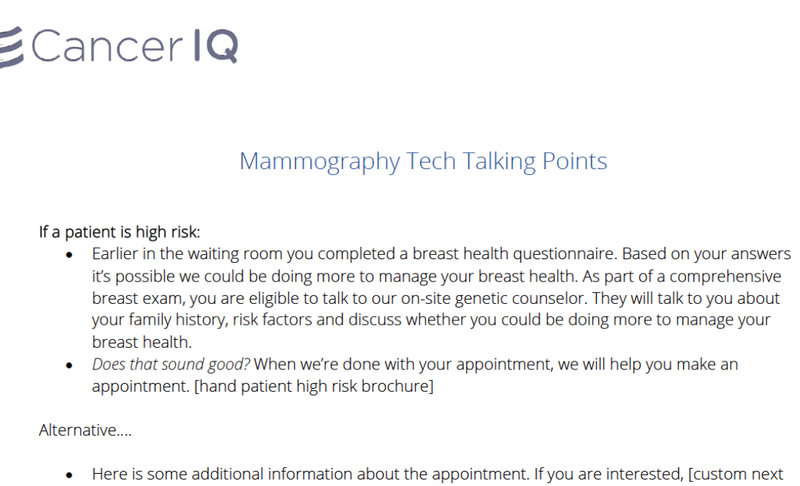 A university breast center utilizes CancerIQ's launch marketing materials to improve patient compliance and physician relations. A large, community breast center capitalizes on pent-up demand to establish an on-site high risk program. 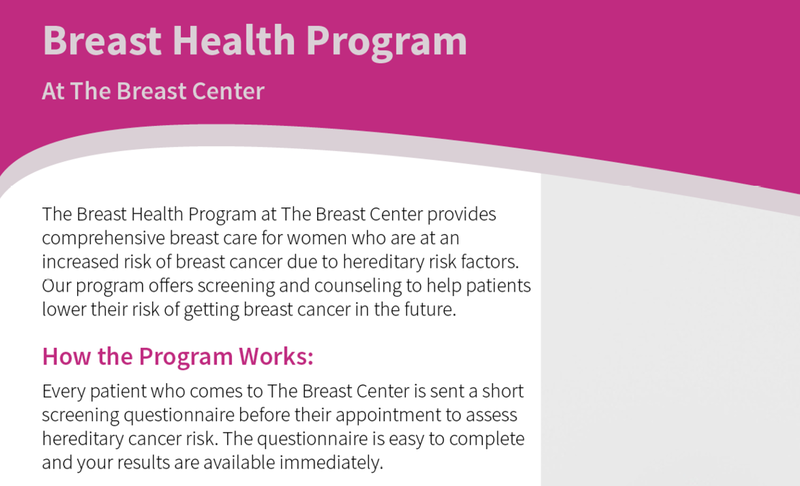 A breast center focuses on training staff to communicate with patients about genetics as a tactic to improve outcomes.